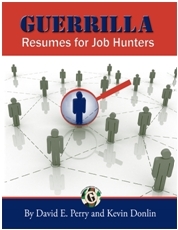 Guerrilla Job Hunting - Me Inc. is dead-long live "you Inc.", personal branding and the intangible value of being you. Me Inc. is dead-long live "you Inc.", personal branding and the intangible value of being you. The intangible value of being --- that's what the new knowledge economy is all about - Knowledge Value + Personal Branding. Veteran information age guru Stan Davis confirms some insights into the increasing value of people in today's economy. A person's "value" is just a measure of how much someone is willing to pay to obtain something from them. In Blur, Davis and Meyer make the point that the boundaries between your work life and your home life are disappearing. In fact, today the rate of change and the depth of connectivity are so fast that every person, product, service and company are blurring together. As products are more driven by software, they become easier to link together. Intelligence and information become the key value being offered in a consumable product (some 90 percent of the value of a new car is estimated to be in the computers and software it uses). And you are the value-adder. Instead of resources or land, "capital" today means human capital. I personally despise the term but it is widely accepted and used by fashionable consultants. It doesn't take a shoe factory to go into the shoe business these days. Nor do you need raw materials or fleets of trucks. Nike became a shoe industry leader by concentrating on the value-producing capacity of its employees, for design, marketing and distribution know-how. The real capital is intangible: your knowledge level, combined with an aptitude for application. Today, employees in the high-technology world especially, tend to think of themselves as "free agents" -- like a professional athlete who is always in training. Knowledge workers are continuously investing in the next set of skills and training, driving up their personal "stock price". This puts knowledge value in the driver's seat. Your Brand is unique. How do you give it a dollar value?